This sleek new machine that takes the familiar square baler and smooth out the lines inside and out. The new form improves function: the result is 25 more bales per day. The LB4 series large square baler isn’t just another pretty piece of equipment: it is designed from the ground up for long life and superior performance. On the outside, the unique curved shape allows it to shed crop debris. 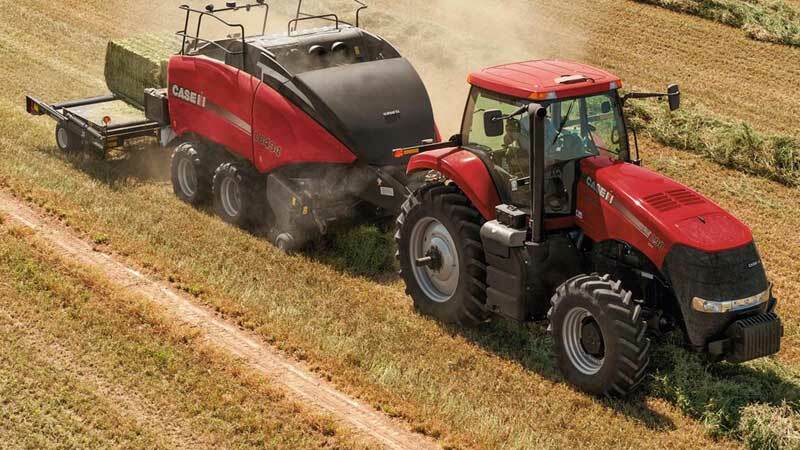 The baler width has been reduced by 2 feet to improve visibility to the rear and sides of the baler and takes up less space on the road and in the shed. Composite side panels are lighter, rust proof and fade resistant. And underneath that curvy red exterior is an amazing workhorse that has more capacity than its forerunners.